With the Pharmacist Support Student Bursary panel now in the process of assessing applications for the 2017/18 academic year, we take a look back at how the award has helped some of our previous recipients. 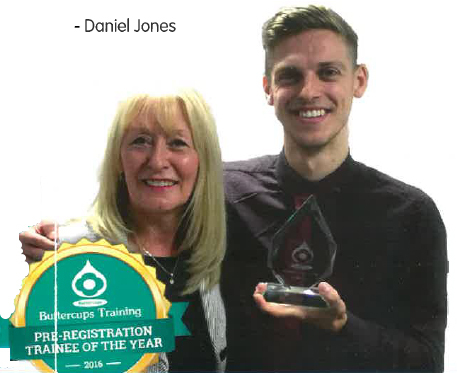 We were delighted to hear that having successfully completed his MPharm degree course Daniel went on to win the Buttercups training Pre-registration Trainee of the Year Award. Since piloting the bursary scheme in 2014, Pharmacist Support has made 24 Awards of up to £5,000 to Mpharm students entering their final year of study who have demonstrated financial hardship, outstanding and exceptional qualities to overcome an ongoing adversity and who are expected by their school of pharmacy to make a positive and excellent contribution to pharmacy in Great Britain. Details of our 2017 recipients will be released in June. For further information on the National Student Bursary Scheme, click here.